Fundraiser by Brennan Blazer Bird : Help Buy Worlds Largest Solar Oven! Help Buy Worlds Largest Solar Oven! My name is Brennan Blazer Bird and I am an ecological educator, natural builder, and solutioncrafter. 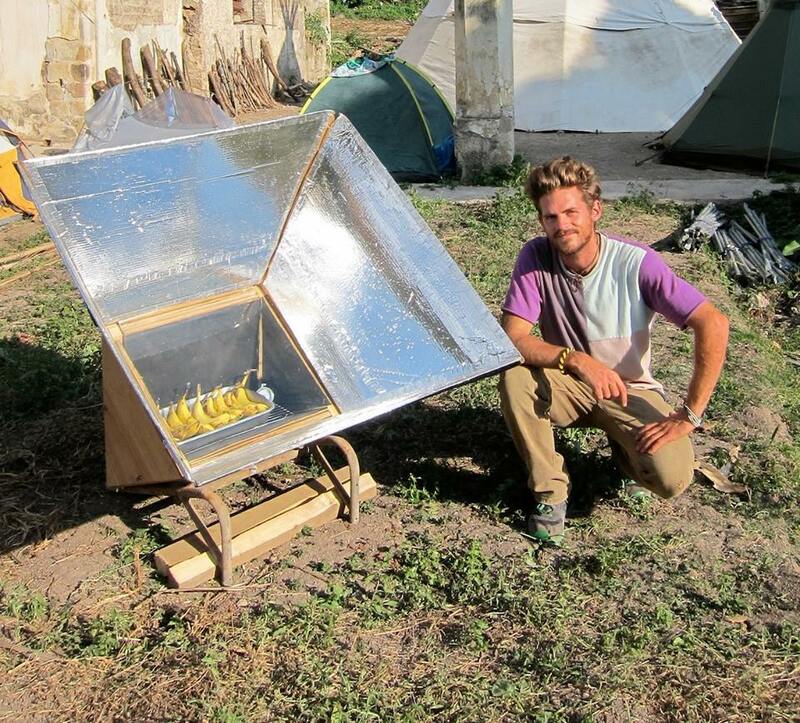 I have been teaching about solar cooking now for over a decade, and I'm ready to take my passion for solar energy to the next level. 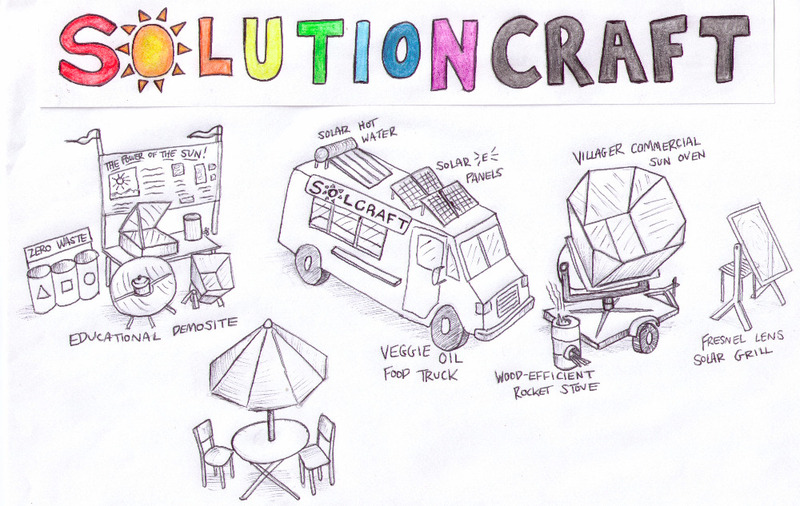 My dream is to start a fossil-fuel free food truck and ecological kitchen classroom called SolutionCraft - or SolCraft for short. I am seeking community support to pay for half of the world's largest solar oven - the Villager Sun Oven made by Sun Oven International. This is the only commercially manufactured solar oven in the world - it uses sunlight alone to reach temperatures of 350 - 400F; it can cook 100s of loaves of bread and over 1000 meals a day; pasteurize gallons of water; and even sterilize medical equipment - without any fuel costs or pollution. The Villager is built of durable materials such as stainless steel and it has an optional back-up propane oven attachment in case of cloudy weather - two characteristics that will allow it to pass inspection by Environmental, Health & Safety. Imagine a food truck that is nearly fossil fuel-free - a mobile ecological classroom that demonstrates a truly regenerative kitchen. A food truck where the meal itself becomes a medium for education - a tasty testament to the tremendous potential of renewable energy and regenerative design. festivals, for the homeless, and for emergency situations. The SolCraft food truck will be a model demonstration of all the appropriate technology and infrastructure needed to provide sanitation, clean water, hot meals, and sterilized medical equipment in any emergency situation - including the ever increasing climate refugee crisis. A model ecological kitchen that can be scaled up to feed a fossil-fuel free world. This is the vision for the SolutionCraft collective and the SolCraft Food Truck. The Villager Sun Oven retails for $10,000. There have only been ~4-5 ever sold in the states (they are mostly used as micro-solar bakeries in developing countries). I have found a used one in Colorado from a sweet couple who started the first solar thermal food truck in the United States. I am purchasing their oven for $6,000. I have already paid for half of the oven - will you help me pay for the second half? Could it be an alternative to Choice Lunch? I admire the Thanksgiving feat. Hell yeah! Love this idea so much. Best wishes in this important work! Can't wait to see it around Oakland! 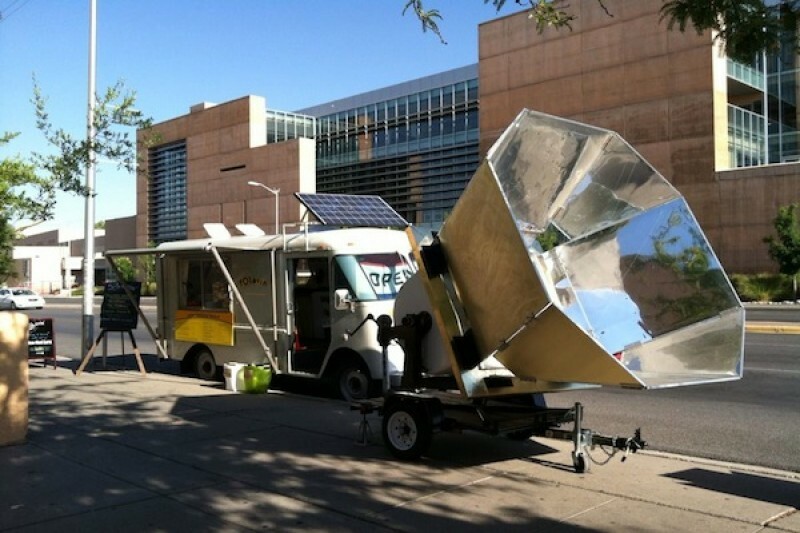 Brennan - I love the photo of this wondrous mobile solar oven and look forward to hearing about its and your next chapter.